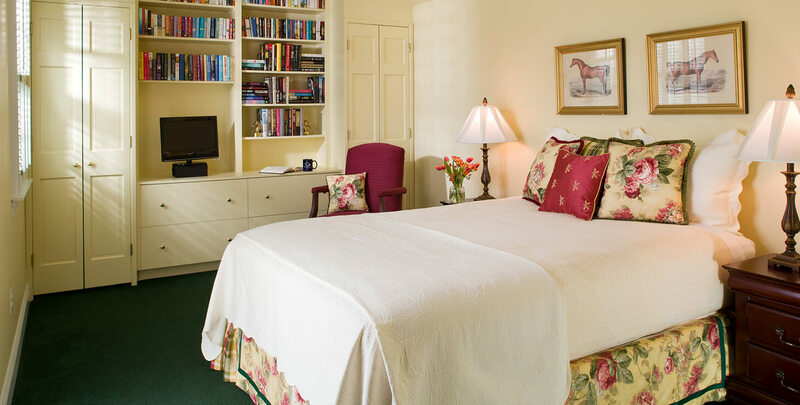 The Tack Room is a quaint equestrian style room with a charming queen bed made with custom bedding ensembles, crisp and comfy white linens and pillows. 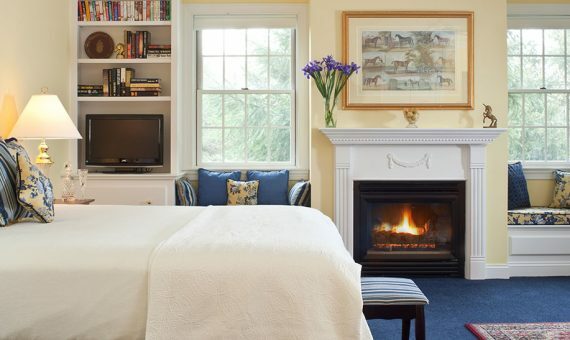 The Tack Room room has an en suite bathroom with shower and marble tile floors. Enjoy our outside seating on Amish rockers looking over our tennis courts and grounds.